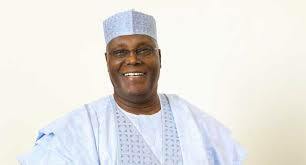 Ahead of the 2019 general elections, Presidential candidate of the Peoples Democratic Party, PDP, Alhaji Atiku Abubakar has dismissed President Muhammadu Buhari’s promise to provide the opposition a level playing ground that he was “denied in the past,” describing the statement as an indication that the President is a poor student of history. In a sharp response however, Atiku said records do not lie, arguing that as a then opposition figure, the PDP government accorded Buhari maximum protection not only as a former Head of State but also as a citizen of the Federal Republic of Nigeria. In a statement signed by his media aide, Paul Ibe and made available to newsmen yesterday, Atiku urged President to take a trip down Memory Lane and compare the past with the present. He said: “President Muhammadu Buhari ran for the office of the President of Nigeria in 2003, 2007, 2011 and 2015 under the PDP (led government). Not once during those intervening years was he arrested, molested or persecuted in any way, shape or form. “As a matter of fact, immediately after his experience with Boko Haram terrorists in Kaduna on July 24, 2014, the then PDP administration bought Mr. Buhari a $300,000 dollar armoured and bombproof SUV for his protection. Mr. Buhari received the vehicle which helped save his life. “Never were Muhammadu Buhari or his relative’s accounts frozen by the Economic and Financial Crimes Commission, INEC, or any other government agencies under the PDP and never were his running mates, children, friends and family targeted. The former Vice President in a veiled salvo, also called the attention of President Buhari to the manner the electoral umpire was treated under the administration of Nigeria’s Immediate past President, Goodluck Jonathan. “The PDP ensured that the Independent National Electoral Commission, INEC, was independent and appointed disinterested individuals to its board including Professor Attahiru Jega, who then President Jonathan had never met before his appointment.